Our All American ribbon is available in 1in width. Matching lead is available in 4ft, 5ft and 6ft lengths. 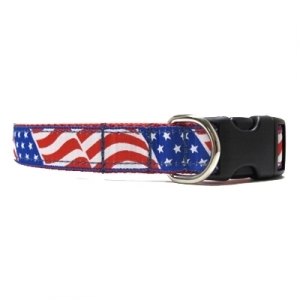 Harness, martingales and martingale combo collars available. Our collar, harness and lead features.